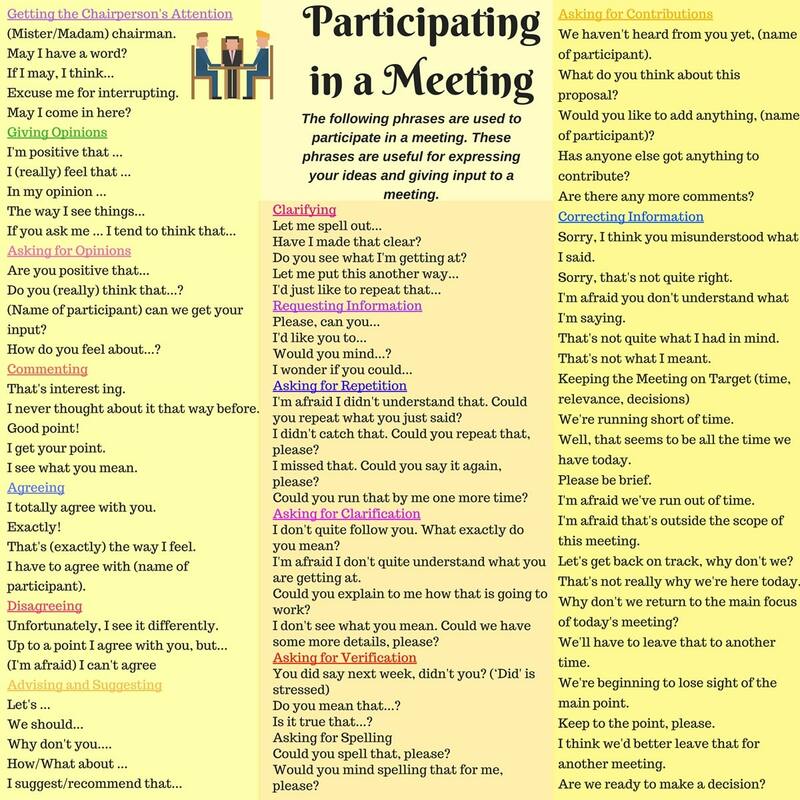 Here is the list of useful phrases to use during a business meeting you should learn. (name of participant); would you like to introduce this item? Why don’t we move on to…? OK, why don’t we quickly summarize what we’ve done today?